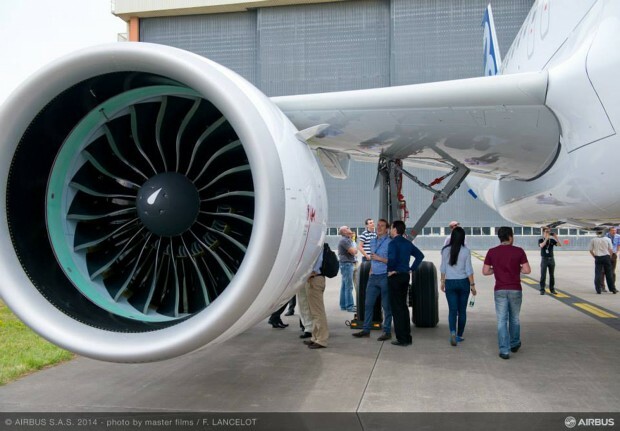 First Airbus A320neo with Pratt & Whitney PurePower PW1127G-JM Geared Turbo-Fan (GTF) engine. 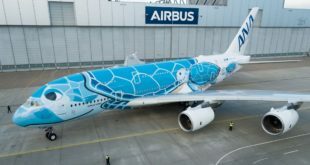 Photo courtesy Airbus. Home >> Aircraft >> Airbus >> A320neo launch customer Lufthansa, not Qatar. IndiGo now third. A320neo launch customer Lufthansa, not Qatar. IndiGo now third. Air Transport World is reporting that Airbus will deliver the first A320neo (new engine option) to German flag carrier Lufthansa and not Qatar Airways as originally planned. 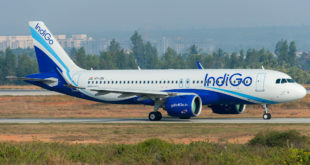 India’s IndiGo which was expected to be the second operator to receive deliveries will now be moved to third slot. 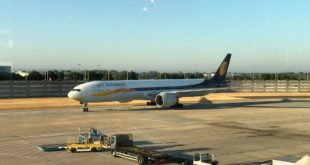 The last minute change has been necessitated due to the ongoing problems which require the the Pratt & Whitney PurePower PW1100G Geared Turbo Fan (GTF) engine to be run for three minutes in idle condition after start-up before commencing taxi. Qatar is unwilling to accept the aircraft with these restrictions, and while Pratt is working on making the needed hardware and software changes, it will take a few weeks and would cause Airbus to miss its commitment of delivering the first A320neo in 2015. Lufthansa will be financially compensated for the mandated three minute idle, but there are some regulatory issues that need to be sorted out. If all is settled, expect the first A320neo to be delivered from Hamburg on December 22, 2015. 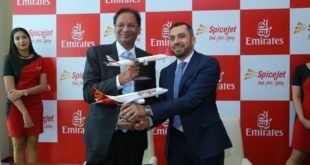 India’s largest domestic airline, IndiGo, which has placed firm orders for 430 neos with options for 100 more, again powered by the Pratt engine will slip to third place. 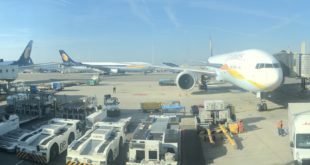 Either Airbus did afford the opportunity to IndiGo like it did Lufthansa, or the regulatory hurdles with India’s civil aviation regulator would cause an unacceptable delay, or the airline refused, just like Qatar did. Whatever the reason, the arrival of the neos in India will be delayed by a few weeks. Read the full ATW article here.